As some of you know, we have taken on another Nordic brand......Bergans of Norway. We are in the process of getting the the website re-vamped to incorporate this, but in the meantime, I've already started testing some of this great kit. Today, I was scouting out a new mountain bike route with my dog, and threw on my new Bergans Kjerag Softshell. 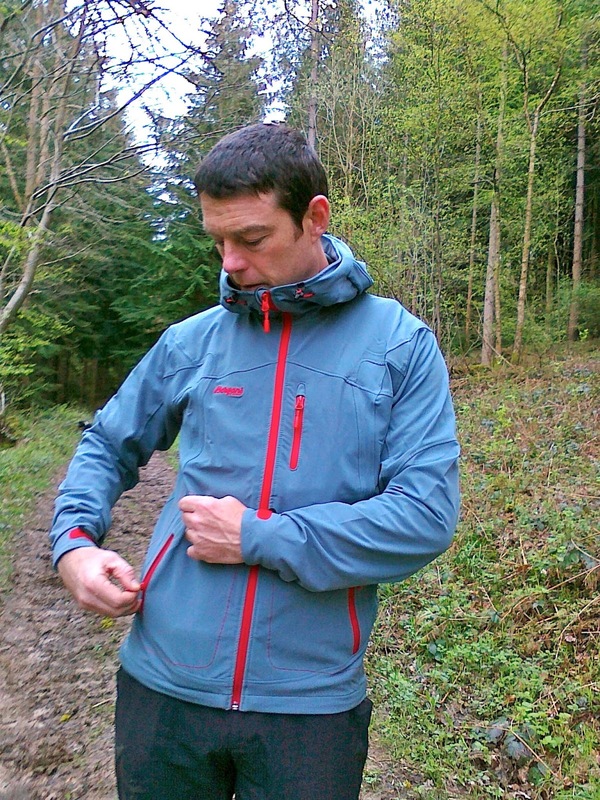 It's the lightest soft shell they do, and so it's not great on warmth. But that's not it's job. It's job is to act as a breathable shell, stopping the wind and holding off rain showers. It was about 10C today and windy so it certainly got tested. It did great as a wind proof, and because of the 4-way stretch, it's REALLY comfortable to wear. I want to try it climbing or scrambling as I can see it gives you excellent freedom of movement. 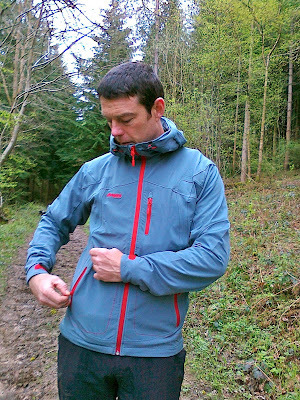 Since today was about walking through the woods I didn't really get to test the breath-ability of the jacket, however I did get to test a feature I seldom use on such jackets.....the hood. I would normally not get a hooded soft shell since I would normally carry a beanie, but guess what?.....I didn't have a beanie today and there was a cold wind blowing so up went the hood! It of course made all the difference. My problem is I don't like the "tunnel" sensation of wearing a hood. However, I reached to the back and pulled on the draw cord behind the hood and voila! the hood move away from my face, staying snug, but opening up my view much more. This is a good feature and combined with the front draw cords, you can pretty much configure it however you want. To cap it all off, heading back to the car, it suddenly started to rain. The wind picked up and I had about ten minutes to get back to the car. It held up well to the shower, and the water beaded off. I think washing it in Nikwax tech-wash will improve it even more. So first impression are very good (albeit on a very easy first test! ), with great comfort, two good hand pockets an a handy chest pocket for keys or phone. In addition......I REALLY like the colours Bergans choose and Nordiclife will be carrying some of the more interesting colours.